Great content is a key feature for your web content. 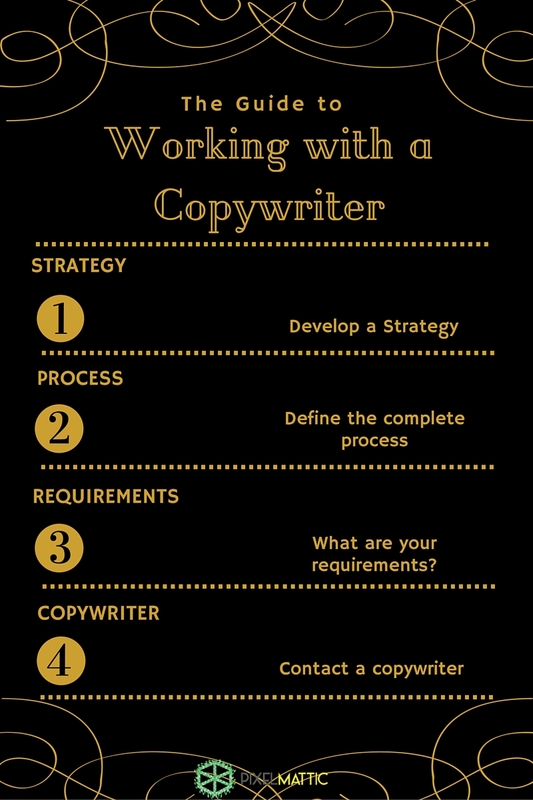 Copywriters are a great asset to your content strategy. You need to work in sync with each others style and find a common way to approach the project. So when do you hire copywriters? 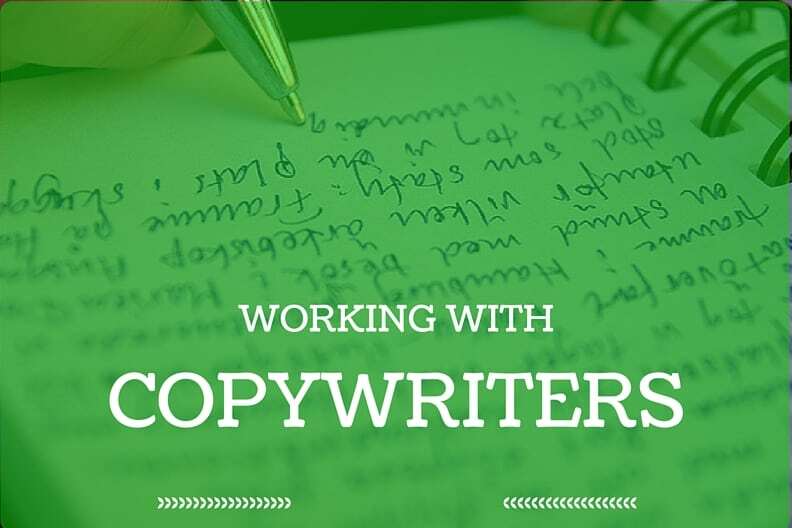 What should you know before working with copywriters? First let’s have a look at the homework you need to do before working with a copywriter. There should be a clear understanding about the requirements and the process while working with a copywriter to avoid any kind of misunderstanding. Contact a writer, ask them about their availability and explain all your writing requirements in detail. We thought it was best to ask a copywriter, so we had a short Q&A session with Naomi Thommy, who is a Creative Copy Professional. She has worked with some of the best brands and agencies that include The Times of India, Neutrogena, Wella Professionals, Sony entertainment television, and more. We wanted her to share with us her experience working as a copywriter and what she had to say about some of the common questions one would have while working with copywriters. Pixelmattic: What is your writing style? Naomi: I have the writing style of a chameleon. It all really depends on what the brand requires. The writing then moulds itself to suit that particular style. Out of the professional space, my style of writing is more relaxed, fun and quirky. PM: What kind of writing process do you follow? Naomi: I do a lot of research that helps me understand my reader better, or if I’m tackling an unfamiliar subject I try and glean as much information from the client as possible so as to help my writing be more effective than otherwise. I also lean tremendously on two words…’consumer insight.’ Walking, thinking, emoting in their shoes, helps me write better. PM: Who owns the project and what is the approval process? Naomi: When working in a team, everyone owns their particular piece. While there is an overall sense of project ownership, there has to be guidelines, timelines, approach strategies…etc. that the team aligns on and then works towards collectively. PM: What do you feel is the right way to evaluate a writer’s work? Naomi: Writers need to imbibe the tone, the voice and write to the pulse of the brand. What they write has to be real, less fluff more facts (well told), with content that’s easy to read and intelligent enough to make the reader feel like they’ve in some way benefited from having read the copy. PM: What are your requirements before starting a project? Naomi: A sense of understanding the brand, the consumer, the expectations and the vision. Couple that with research and then taking a step back and viewing the whole project in totality. Then, bring in ideas on how you can drive the whole thing with suitable value adds. PM: What are some of the common mistakes with content you see on websites? Naomi: My biggest grouse is when the writer undermines the intelligence of the reader. It’s insulting to read! Bad grammar doesn’t even come close in comparison. PM: Why should a company hire a professional copywriter? Naomi: A professional copywriter who’s had adequate experience cutting their teeth at both mainline ad and digital agencies are far better equipped to handle brief timelines, terrible feedback, quick turnarounds and the pressure of delivery. Most copywriters are well read, have a relatively good sense of humour and are genuinely creative adding depth and character to any team they’re part of. PM: What are the challenges you face while working with a client? And what can someone do to make your process more efficient? Naomi: When you’re good with words, you end up focusing less on numbers. So personally, I have been a work in progress when pricing my skills sets right and not flinching in the face of potential clients who want all you have to offer for next to nothing. Apart from that you have the odd client who’s demanding to the point where they’re never satisfied with what’s presented to them, and they’re always on your back for better, to the point where it doesn’t make sense anymore. It’s important to have a personal checklist for clients, where you take a client on only if they tick off every single item on the list. PM: Should clients pay per word/page? Or is there a better way to engage a copywriter? Naomi: That’s an archaic way of evaluating quality content because it doesn’t take into account the hours of research, the preparation, the ideation, the time, the resource spends, the quality of skill or the experience of the writer into account. Writers are thinkers first and while most writers aren’t the best evaluators of their own talent, that’s slowly changing as the variety of writers across the board feel more empowered today than ever before. Thanks, Naomi, that was insightful and I’m sure it will benefit those looking to collaborate with copywriters in the future. Share your experiences on working with copywriters in the comments section! P.S: If you’d like to hire Naomi for your content work, drop us a line and we’ll put you in touch.